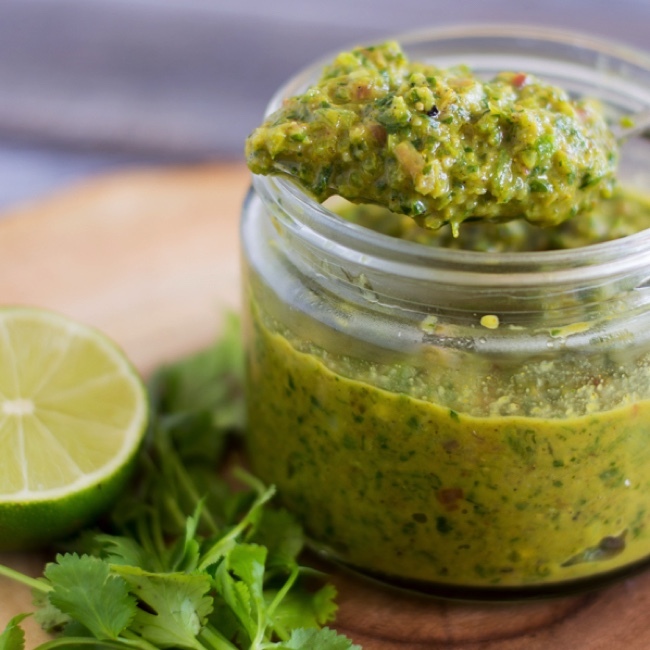 Aromatic and fresh describe this homemade green curry paste. It’s perfect to keep on hand for quick and flavorful weeknight meals! 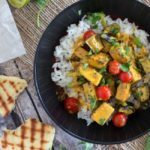 Curries are some of my favorite dishes to make and to eat. 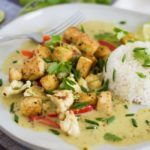 I’ve shared quite a few curry recipes over the last few years… red curry salmon, yellow curry meatballs, and a few others. I’ve never shared a green curry, though. Not because I don’t love green curry, but because I find store bought green curry paste to be really bland. I know there are yummy green curry pastes out there that aren’t bland, but around here (even in specialty type stores) I can only find the Thai kitchen brand. I love their red curry paste, but the green just doesn’t do it for me. Before embarking on my quest to make green curry paste, I did loads of research. Authentic green curry paste contains quite a few hard-to-find ingredients that I knew I wouldn’t be able to find. I wanted this to be an easy recipe that you can make without having to run around to multiple grocery stores. So, obviously my recipe isn’t authentic… and I’m ok with that. 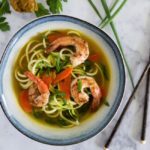 I love the flavors in here and more importantly, it’s super easy! The process here is really simple. 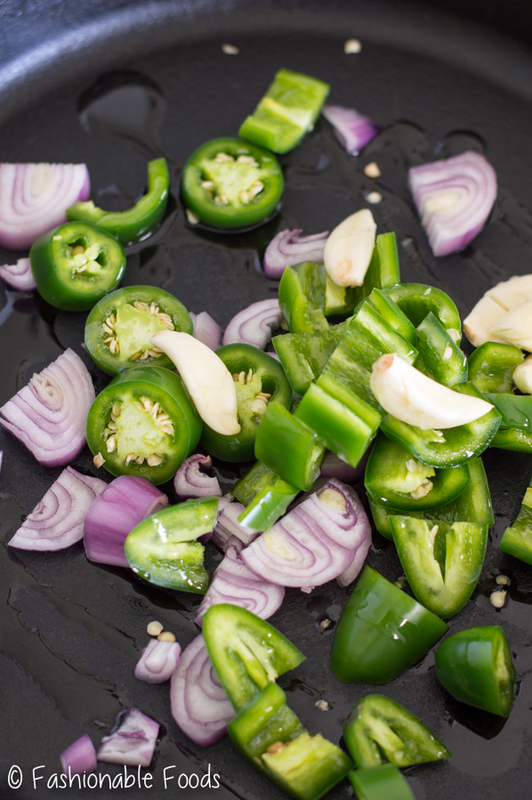 Sauté the chilies, shallots, and garlic until the begin to soften and are fragrant. Stir in the curry powder and then add the mixture (along with the rest of the ingredients) to a food processor. Pulse it all until mostly smooth, but that you can still see flecks of the ingredients. I can’t get over how fresh tasting this curry paste is! It’s so aromatic and perfect for any curry you can dream up. I’ll be sharing one tomorrow, so stay tuned for that. Lemongrass can be hard to find depending on where you live. I usually have better luck finding the lemongrass paste, which is typically found near the herbs in the grocery store. If you want this to be vegan/Paleo/Whole30 you’ll need to use fresh instead of the paste as it contains dairy. If you can’t find either, just add a squeeze of lemon juice. It will works just fine! I like adding the ginger in raw as I think adds a better, more prominent flavor. 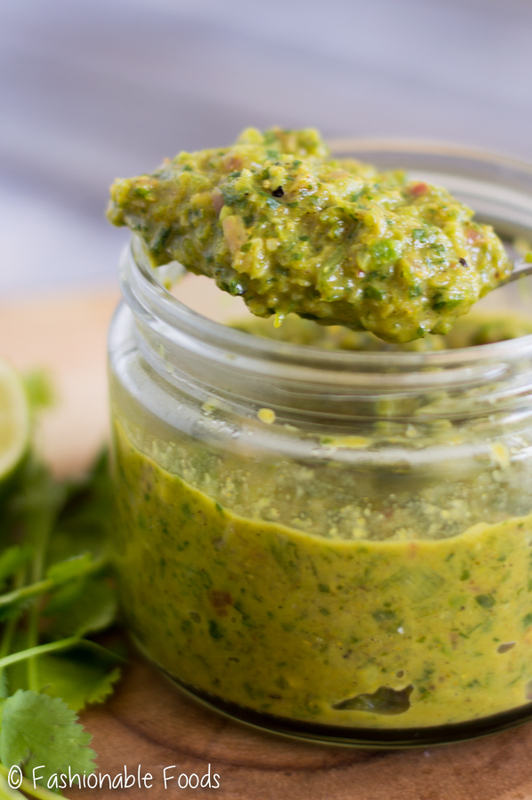 This recipe makes enough curry paste for 3-4 curries. I add 3 tablespoons per can of coconut milk. 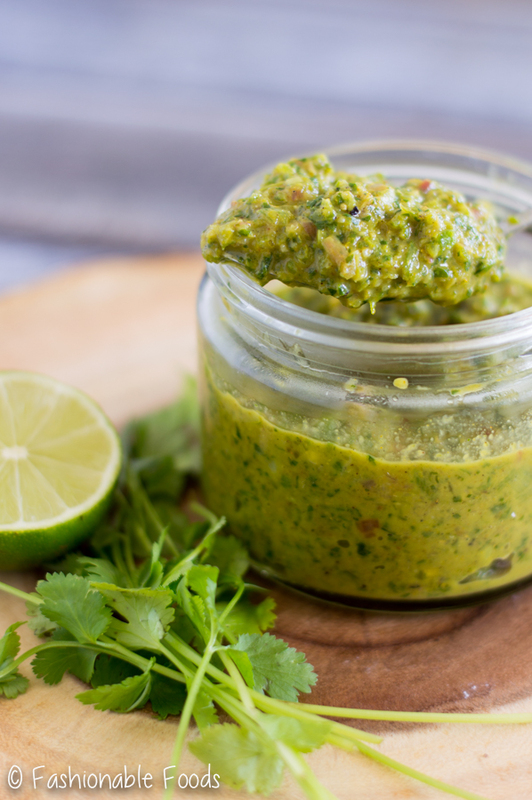 You can store the paste in an airtight jar for up to 2 weeks in the fridge, or you can freeze it in pre-measured portions for longer storage. I’m already planning on making a double or triple batch to stock up my freezer for when the craving strikes. Which for me, is pretty often because it’s just SO GOOD. 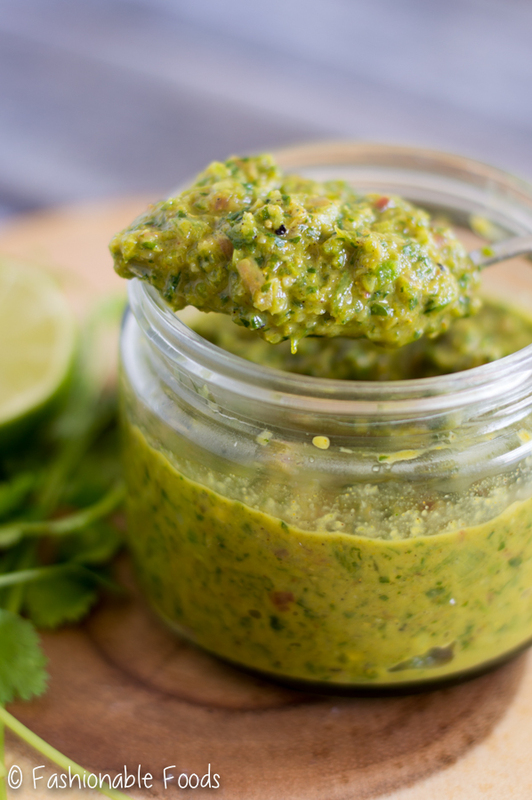 Aromatic and fresh describe this homemade green curry paste. It’s perfect to keep on hand for quick and flavorful weeknight meals! Check the recipe notes to adapt this recipe to be vegan/vegetarian, Paleo, or Whole30! Heat the olive oil in a medium skillet over medium heat until hot. Add the chilies, shallots, and garlic cloves and sauté for 3-5 minutes or until softened. Stir in the curry powder to coat the vegetables and cook for another 30 seconds or so until fragrant. 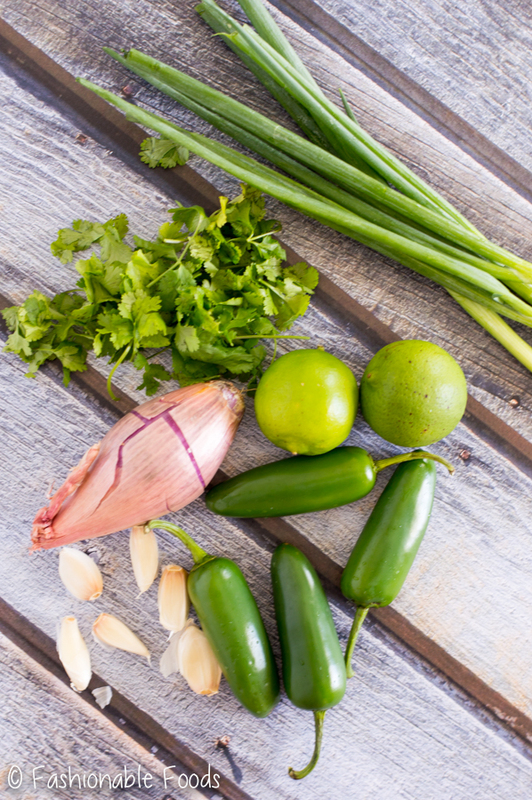 Transfer the vegetables into a food processor along with the ginger, lemongrass, fish sauce, lime zest/juice, cilantro, green onions, and sugar. Pulse the mixture until mostly smooth, but that you can still see flecks of the ingredients. Store in an airtight jar for up to 2 weeks, or freeze for longer storage (up to a year). Recipe yields enough for 3-4 curries using 3-4 tablespoons per curry. *I used jalapenos and found leaving the seeds and ribs intact on two of the chilies gave a mild heat curry (when mixed with coconut milk). You can adjust the heat level to your preference by removing all of the ribs/seeds or not removing any. *Use fresh lemongrass in place of lemongrass paste – the popular paste that I find in my grocery store contains dairy. *Replace the fish sauce with coconut aminos or soy sauce.